I mentioned in my ultimate skincare regimen post HERE that acid toners have rebirthed my skin twice over, and I would love to share more about THAT Holy Grail find. Those unassuming, yet very much "pro-looking" bottles have piqued quite some interest. And here I am, dying to share this wonderful product with you all. 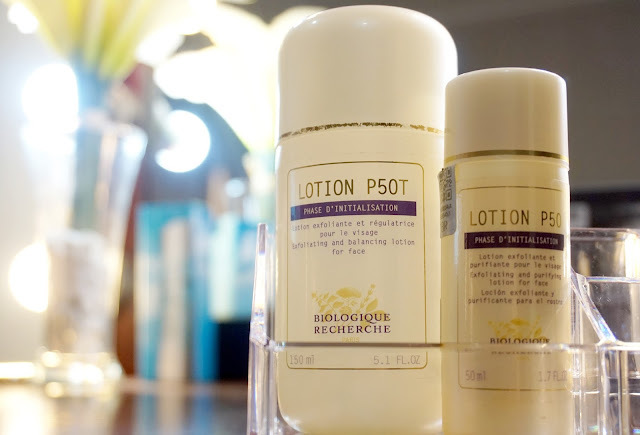 Everyone, meet this revolutionary multi-purpose miracle in a bottle, no other than Biologique Recherche's Lotion P50! What is THIS thing? 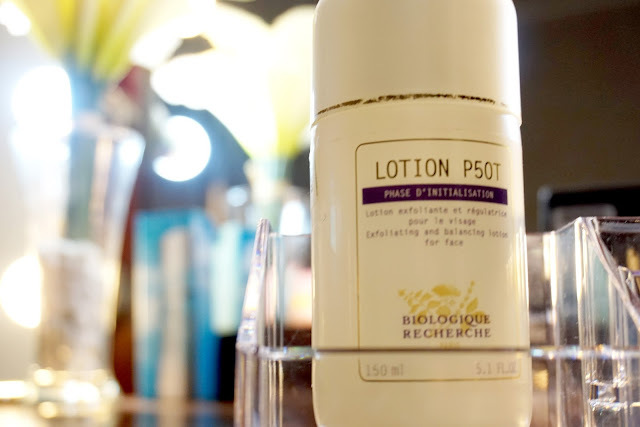 Lotion P50 is a revered, cult-favorite acid toner from the French brand, Biologique Recherche. (Don't you like how it rolled in your tongue? I love it!) It's usually referred to as miracle in a bottle, ba-Jeezas in a bottle, liquid gold, holy grail slash best skincare product of all time. And I'm not even exaggerating; just do a quick online search and see for yourself. It's way up there. I stumbled into this wonder some time last year. 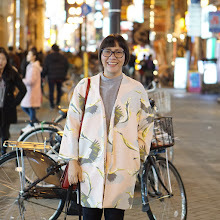 I started getting borderline-obsessed just reading about it; but my yearning for it soon waned as the only way to purchase it then was either in Europe or U.S., and you know how hefty the shipping fee goes from there to sunny Manila. That, plus the product itself comes with a hefty price tag. But it remained in my wish list. Why not when it's much raved, and Biologique Recherché promises that the Lotion P50, a balancing exfoliator, "speeds up the epidermis' natural exfoliating process and the reconstruction of the epidermal shield. The fortified epidermis can then fulfill its protective functions completely, enhancing skin's self-regeneration potential. It gently exfoliates the skin, regulates excessive sebum secretion, moisturizes and helps maintain the epidermis' acid pH." So that sounds like a lot of good stuff for the skin, riiight? The only thing keeping me from getting my hands on it were accessibility and exorbitant shipping fees. And then something good and something big happened last year. 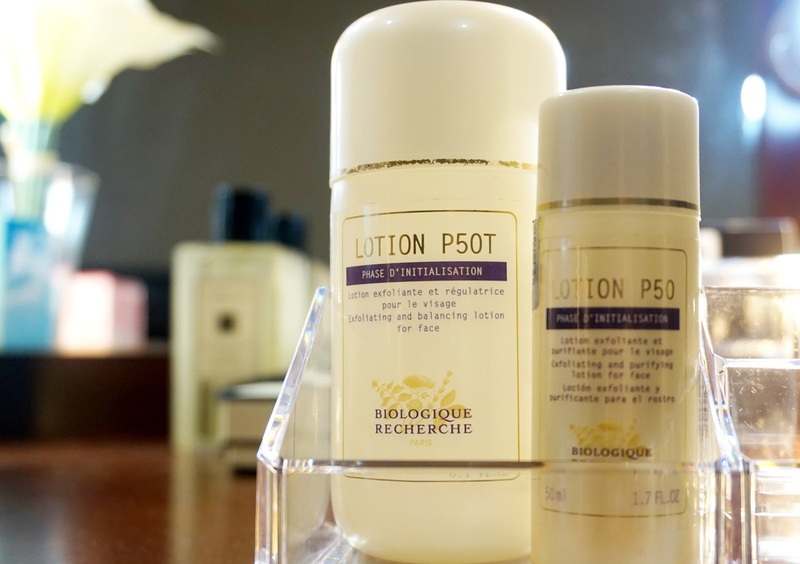 Biologique Recherche launched in Manila. Such great timing that I was going through a terrible dull skin phase then! I was dying to find a product that would bring my skin back from the dead revive my dull, oily yet dehydrated face. And so off I dove into the Lotion P50 territory. And here's an even more amazing report -- it did not take forever to see those results. My skin was revived in just a matter of a few weeks! No, it was not just revived, it was REBIRTHED. The benefits redound to my entire skincare arsenal -- serum, moisturizer and cream are now better absorbed by my skin. It's as if it activated and super-charged all my other face products that seemed to be dozing off and not giving me all the benefits they promised to deliver. Aha, so that was the secret to maximizing your creams, moisturizers, serum, and other beauty arsenal - to pair it with a powerhouse acid toner! So while it may be expensive - it really is - I take into account the fact that I had never come across a toner that did anything for me, so if you do the math, I had actually spent more money on crap than I did on Lotion P50. Plus, it made all my facial arsenal work more efficiently, so that's double win, double yay, and more value for my hard-earned money. And this is the one I bought from the U.S. 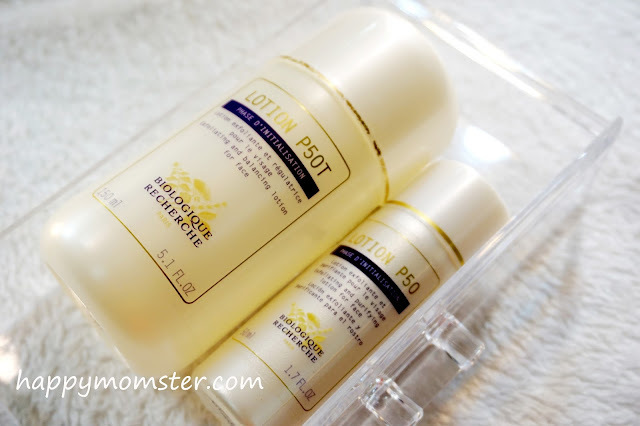 I haven't since repurchased Lotion P50 locally (it is exclusively available in Edsa Shangri-La's Chi Spa) because I find it just a little bit cheaper overall if I buy and have it shipped from the U.S. Plus, the U.S. spa which I order it from is pretty generous in giving away samples of the brand's other wonderful skincare products, something that they don't give away here. OVERALL, I say it's worth every single penny and I cannot live without it! Go easy if you are a first-time user, most especially if you are new to acids. 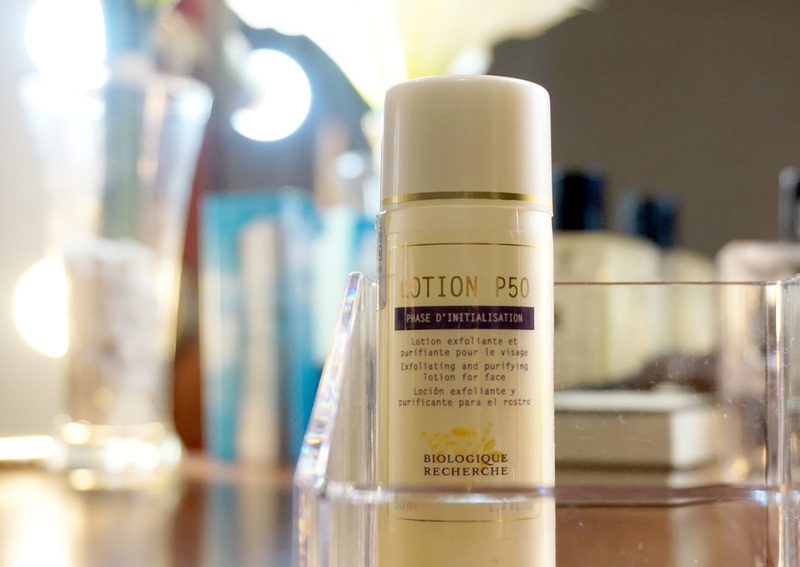 The Biologique Recherche aestheticians that I was in touch with recommend using it twice or thrice a week first, with a wet cotton pad. Gradually increase the frequency of use. After a week or two, you may use a dry cotton pad. 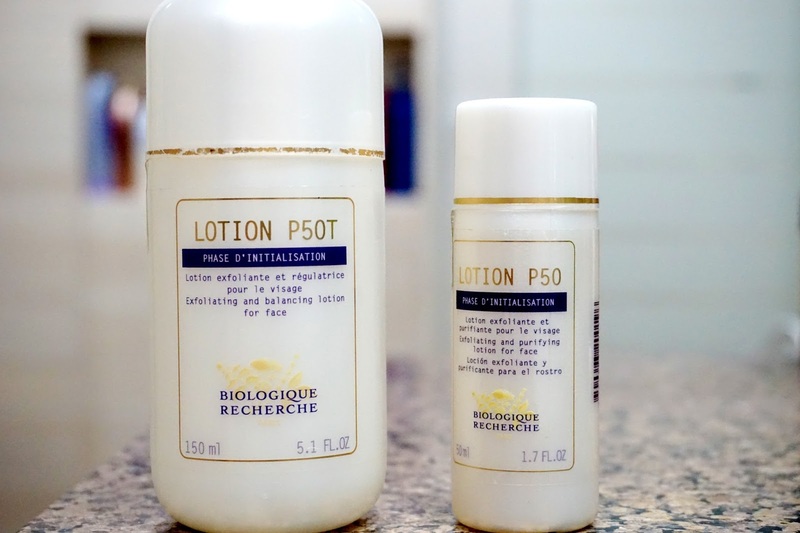 Note: Lotion P50 has different formulations. The original formulation back in 1970 contains phenol but it is only sold in the U.S. now. They have since reformulated and have further improved the product. Now there's the plain P50, P50V and P50W too. Only one version is available in the Philippines, Lotion P50T, supposedly milder and reformulated to suit the needs of Asian skin.